Since Mother's Day was coming up and she's given me insight into a couple of different posts, or things about my blog, I wanted to do something that featured or focused on her today. Thanks to some amazing women for putting this together, I chose to be part of a linkup and had my mom answer these questions! 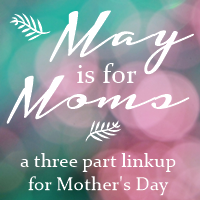 Yes, a three part linkup, but since I'm not a mom I really could only do one of these. Enjoy. 1. How did you feel the moment you found out you were pregnant with me? 2. Was I a wonderful surprise or carefully planned? You were definitely planned! You were our first and we had waited THREE years after we got married to start a family, but it only took a few months to get pregnant. 3. What was the most challenging time in my childhood? Why? The most challenging time in your childhood was when you were 5-6 years old. Your dad was away at a military school for 4 or 5 months and then only came home for 6 weeks before going off to war for 7 months. There were many firsts that he missed - you started Kindergarten while he was gone, he missed a father-daughter dance, the chicken pox, dance recitals and more things than I can remember. He also left me with not just you but also your 2 year old sister and a dog. 4. Did you worry more about me as a child or now that I am an adult? I worried about you then and now, mostly because you are my daughter, I love you and I want what's best for you. 5. What is one thing that you thought was deeply important when I was a baby that you now realize did not matter at all? I think that when you were a baby it was important to have little friends to play with but our friends didn't have children or they were so much older than you that you just hung out with the adults or whoever was around and you were just fine with that. You just adapted so well! I love my mom, as I've grown older our relationship has adapted and we spend a lot of time together enjoying the same things! I hope you're spending the day with someone that inspires you...whether it's your mother or someone else filling that role. 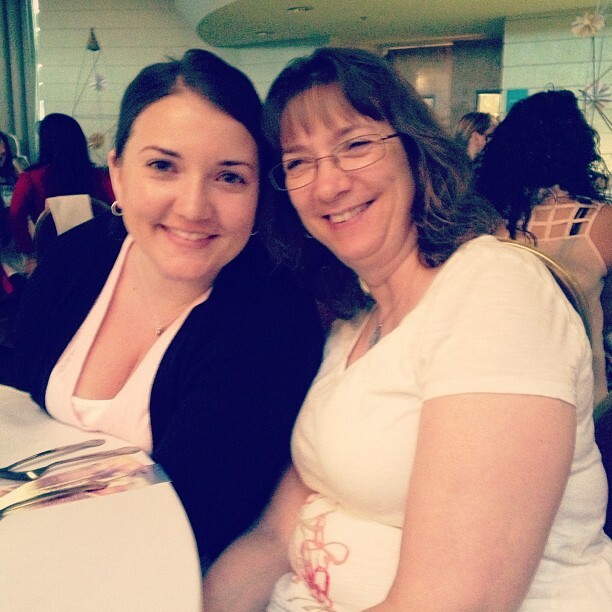 Popping over from the May is for Moms link-up -- I'm loving reading everyone's interview with their moms! 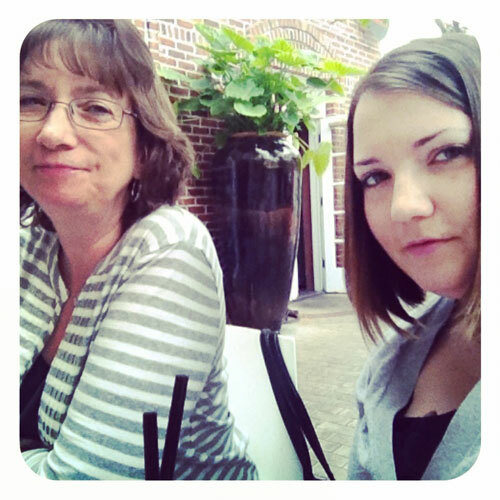 I agree with the first commenter -- you and your mom look so much alike!